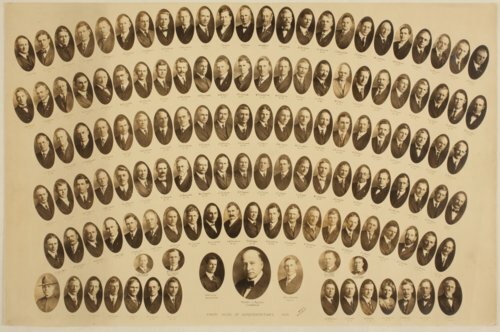 This is a photograph of the 1919 Kansas House of Representatives. Each legislator is identified with the district they represented. There is an inset of Governor Henry J. Allen at the bottom center.